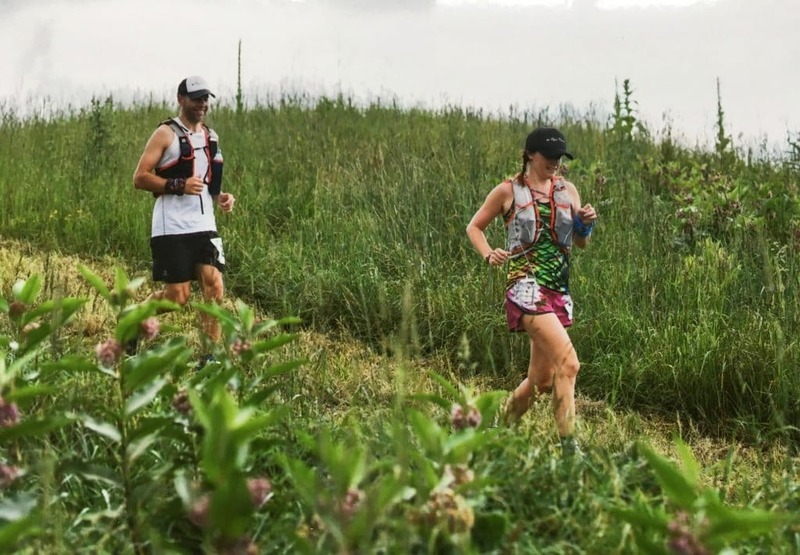 My story published on Trail Sisters…….. I remember my day like it was yesterday. March 8th, 2015 will forever been etched in my mind. It was a cold, blustery day with snow on the ground. My friends and I were to horseback ride a 25 mile conditioning ride for our upcoming 50 mile competition, however…that never happened. I was brutally kicked by a horse (not my horse), shattering my elbow joint in ten places before I even put my foot in the stirrup. With a thousand pound animal bearing down on me, my only instinct was to raise my right arm, and protect my head and chest. The pain was so intense, burning, throbbing, aching. I could hear and feel the shattered bones moving around as I tried to compose myself. A long car ride to the hospital left me in tears and panic in the backseat. Empiric and I racing in 2014 in Canada (75 miler) This is the finish, I’m in the Green shirt. I needed physical activity to keep me whole, so running became my release, my savior, and my gift in all of this. I was fearful of being near my own horses now, even though I’ve been riding since I was 7 years old. PTSD crept in and the replay of the grey horse barreling towards me, came flooding back. I went to see a therapist, a hypnotist, anyone who could help with my fear. I couldn’t give up on my dream of competing my horses anymore in 100 mile races. I couldn’t sit idle. I couldn’t not have a goal. Surgery number two came 9 months later, a capsule release to hopefully regain more ROM. My arm wouldn’t extend or straighten properly causing intense shoulder pain as well. I had pins and plates removed and then spent weeks using a CPM machine to flex my arm in multiple ways. The bright side, I caught up on a ton of Netflix shows. Out of the blue I started to have more pain in my arm. It didn’t feel right, and looked like it had two joints. I remembered a specific short run that left me crying and wondering “what is going on, why can’t I lift my arm anymore?” I had an x-ray taken which revealed a re-fracture of the joint. I crumbled when I heard the news. This led to surgery number 3 which was almost five hours long and included a bone graft from my hip. Running would have to wait awhile for my hip to heal. Pins and plates were added to hold the joint together again. 3 surgeries in 10 months was taxing on my body, mind and soul. I could feel myself slipping deeper into depression. I remember nights of crying, wallowing in self pity, trying to manage the pain, all my dreams vanishing in front of me. Frustration, sadness, anger, regret, hopelessness. At a particular low point in January, my husband wrote me the most positive, beautiful letter that I’ve ever read. I cried, laughed, and felt hope come back as I read it. He wrote about numerous people who had overcame injuries and illnesses that seemed far worse than my shattered elbow. The one person who seemed to resonate with me was Janine Shepherd. She was in a horrific biking accident in her 20’s and ended up writing a book called Never Tell me Never. I couldn’t put the book down, and I’m forever grateful to her for having the courage to share her story with others. I highly recommend it. Through all of this, running was my savior. I was a runner in high school, but I certainly didn’t love running. Later in life, I liked to run for the social part of it and exercise, but training my horse for 100’s and 50’s took up my time. But now, with my endurance riding career tucked away, I needed something to motivate me, to drive me. I decided to sign up for the Vermont 50 Mile in September of 2016 to see if I could perhaps qualify to run the Vermont 100 Mile. I’ve ridden it 8x on my beloved horses, but could I tackle it on my own two feet?? I was up for the challenge. I needed something to bring hope back into my life. 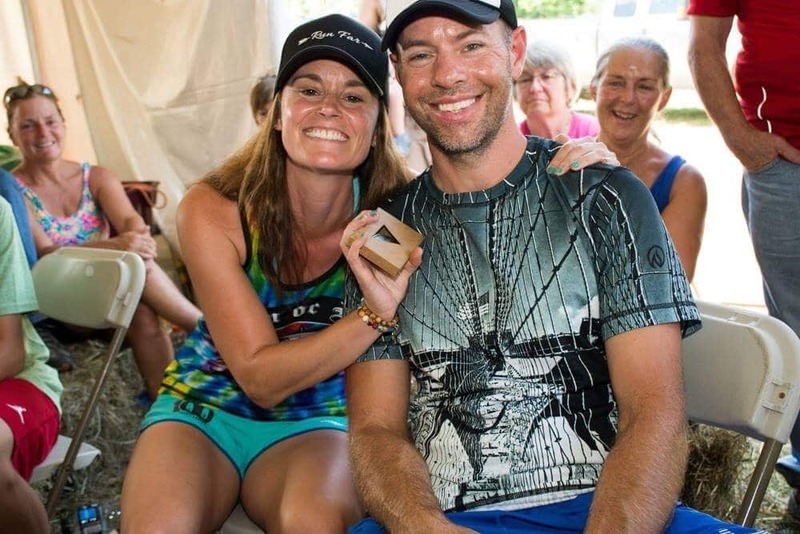 My husband became my running coach and inspiration, he was on the quest to finish his fifth Vermont 100 that past July. We set out to make our training runs enjoyable, fun, as well as getting in hard workouts. Running was really making me more and more happy. I was out in nature, on the trails again. I felt free, cheerful, unafraid. I finished the Vermont 50 in 11 hours 45 minutes leaving 15 minutes to spare on my cutoff time. My time qualified me for my dream of running the Vermont 100 in 2017. Fall, Winter and Spring…time flew with our kids activities, training and living life. I kept my Instagram flowing with running pics and adventures along the way, kind of a photo diary leading up to the big day. 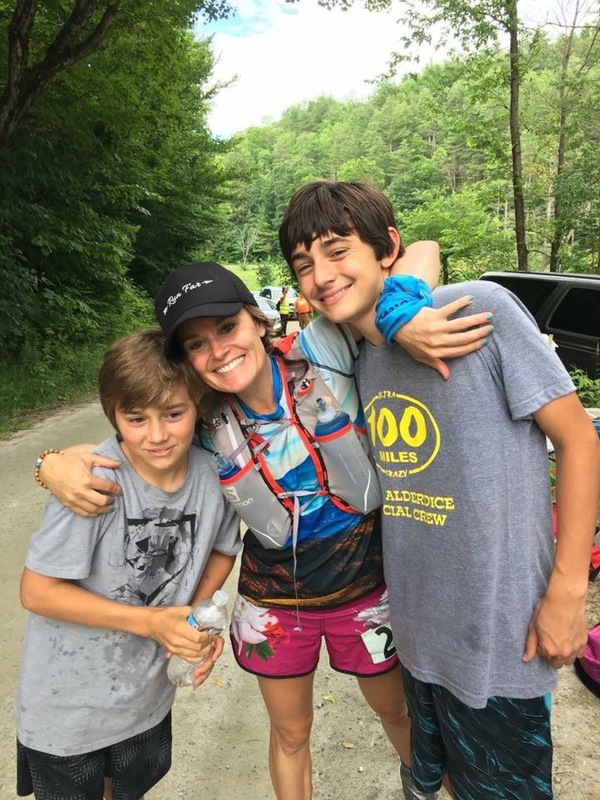 July 16, 2017, I finished the Vermont 100 in 29 hours, 5 minutes and 9 seconds. It was the second hardest thing I’ve ever done in my life. But the joy was unbelievable. My heart was so full after sharing this experience with the people I love, my husband, our two amazing boys, family and friends. Learning even more about myself with every mile, inspiring my kiddos to reach for their dreams, no matter how far fetched they seem. It wasn’t about finishing a 100 miles, it was about feeling whole again after my accident. It’s crazy how time and running can heal wounds. I’ve now joined a few people who have both ridden and run the Vermont 100, both experiences I will forever cherish. Through this whole journey, I couldn’t have done it without the support of my amazing husband, and our two boys. They lifted my spirits daily and helped with all the little things I couldn’t do while rehabbing. I’ve leased out my horse, Empiric, until I’m ready to return to riding competitively. I have to learn to love riding again and let go of the fear. I’m riding locally on quiet horses to regain that trust I lost. As I reflect back on my injury, and these last 2 years, I am finally able to clearly see the positive changes that have occurred. Having more empathy, being a more balanced person and being more open to new experiences. I guess what I am saying is…I am exactly where I’m supposed to be. Little by little I’ve regained more ROM, I will never be able to fully extend or straighten my arm, and I’m ok with that now, I’ve learned to let go. I always remind myself that it could have always been worse. She could have struck my face, chest and I could very easily not be writing this today. My elbow is my hero, and I thank God for it protecting me. Life leads us down great paths and bumpy ones…we just have to have faith, hope and hard work to navigate both. Never give up on hope. Lace up your shoes and see where the miles take you! Krista Alderdice is a loving wife to her high school sweetheart and a mom to their two incredible boys. She is the owner of a small business that she runs out of her homeRedhorseandco.etsy.com . She enjoys all kinds of adventures, but has found running to be her savior after a terrible horse accident. Krista also enjoys playing guitar and is an INKnBURN Ambassador. Additionally, she has 3 goats and two mini donkeys, various chickens and ducks on her farm with her family. Putting Equine Endurance racing on hold, she has a new passion for running that has lifted her spirits and given her great strength. She knows running can heal, have purpose, and create joy.